We’ve written a lot about the many legal benefits of suggestive over descriptive trademarks. I’m fortunate to have enjoyed many evenings snuggling with loved ones around a blazing fire. Sadly though, the fire was doused after learning that an earlier, broader trademark registration for the single word SNUGGLEWOOD lapsed, extinguishing more than 15 years of nationwide priority. Apparently ownership changed between the original 1998 filing and a decade later when renewal evidence was due, so the USPTO rejected the evidence, as no clear chain of title was provided. It’s sad to see because trademark ownership and chain of title issues are preventable and fixable. 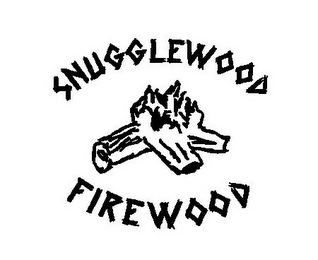 Let’s hope for the SnuggleWood brand that it is never burned by unregistered trademark rights that could have developed in remote geographic parts of the country before the new filing in 2014.